Call it coincidence. Call it ironic. I say it was God’s sense of humor. 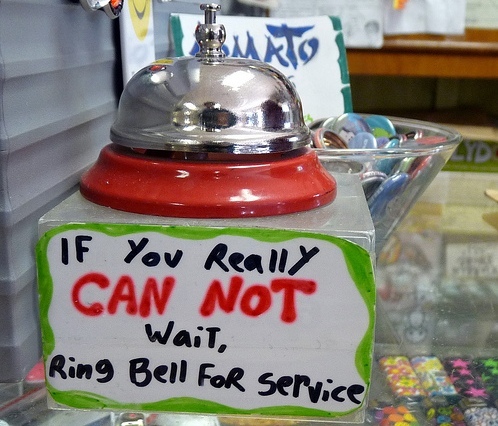 My post last Thursday explained my difficulty with waiting. I admitted that I am an impatient person. Not a good wait-er. On the day that post appeared one week ago, my wife and I went to a Christmas luncheon and planned to return home mid-afternoon. Before we left that morning I called my doctor. I had been having head and neck pain for about a week and wanted to know what he thought I should do about it. During the luncheon his nurse returned my call with instructions from the doctor to go to the emergency room. They might need to do some “imaging of the head” in an effort to find the problem. Following my doctor’s recommendation, I went to the emergency room of a nearby hospital. When I arrived at 1:30 PM there were a lot of people in the waiting room who looked like they needed to be there. Unlike most of the other patients I walked in upright, showed no outward evidence of the need for emergency treatment, and was dressed like I was going to an important event. A few minutes after arriving at the emergency department I was called into the triage room where I provided them with the details of my situation. 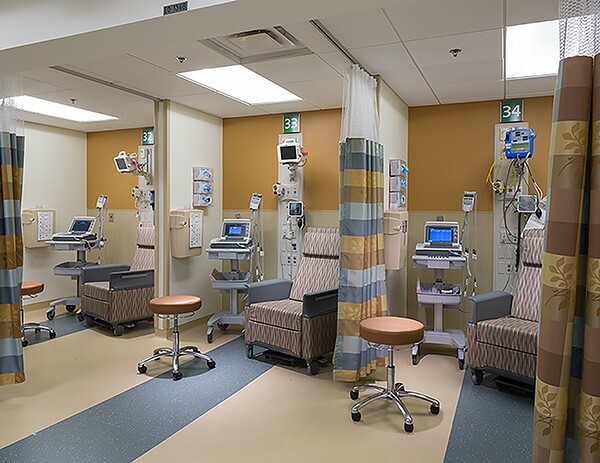 After waiting a while they called my name and I was ushered into a space enclosed by curtains where an EKG was administered, blood was drawn, and an IV was installed in my right arm. No explanation was given until I asked why this was necessary. I was told to sit in a wheel chair and wait (for what?). In a few minutes a young man came and wheeled me through a maze of treatment rooms and down a hallway with no explanation until I asked where we were going. He replied that I was going to have a CT scan of my head. Shortly after I received that information we stopped at the end of the hallway and the man who had been pushing me disappeared into a room without a word. I sat there waiting, not knowing what was next. Finally the man returned and pushed me into a room where there was a huge machine. He told me to remove my glasses, lie down on my back, and rest my head in a certain place. Assuming this was when he was going to complete the “imaging of my head” which my doctor had suggested, I asked and he said yes. After the scan I was wheeled back to the waiting room and told I would get the results in 30-45 minutes. It was three o’clock. I waited. An hour passed and my wife asked the receptionist what was happening. She was told they were waiting for a room so the doctor could talk with me. I waited. Four hours later I was ushered back to the treatment area and was given a seat in the hallway where the doctor came and reported the results of all the procedures. 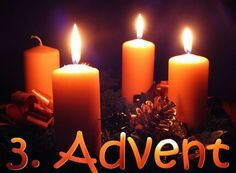 The third week of Advent is almost over. We continue to wait in anticipation of the Coming of the Christ-Child. Ten more days of waiting until Christmas. Then comes the Good News. Christ is born in Bethlehem. It is worth the wait! Last Sunday I saw a friend that I had not seen for a long time. He was an energetic young adult with a pleasant and positive personality Then he had an accident that left him paralyzed from the waist down. The accident changed his body but it has not changed his upbeat attitude. He is a loving husband and father who has a deep faith in God. This amazing young man told me that he had recently been on a couple of work missions. One of them was to the Gulf Coast to help people whose homes had been flooded. One house had to have the lower four feet of drywall removed due to water damage. He was excited that he had been able to replace the sheetrock because he could work at that level from his wheelchair. Another project in his own community afforded him the opportunity to build a wheelchair ramp for an older resident. He smiled as he told me he had never built a ramp before so he gave it a test run to be sure it could accommodate the older woman who would use it. I recently met a man who has established an ongoing mission in one of the poor communities in Nicaragua. While building much needed medical clinics in this rural area, he realized that many of the local young people were intelligent and industrious but could not afford to go to school. So he has created a fund to provide for the education of promising young people of that region with the expectation that their lives will be changed and they will in turn give themselves to improve the lives of others. John Wesley said, “Do all the good you can. By all the means you can. In all the ways you can. In all the places you can. At all the times you can. To all the people you can. As long as ever you can.” He believed it was our responsibility to help change the world. I am currently involved with Imagine No Malaria, an effort to end death and suffering from malaria. If you are thinking that malaria was eliminated in this country over 60 years ago, you are right. But this year over 650,000 people in Africa will die from malaria, more than Ebola and AIDs combined. Two-thirds of these deaths are children under the age of five and pregnant women. 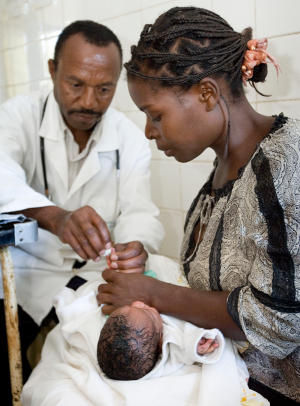 Although malaria is fully preventable and fully treatable, a child dies every 60 seconds from this killer disease. The good news is we know how to stop death and suffering from malaria. In fact the death rate has been cut almost in half in the past 7 years. 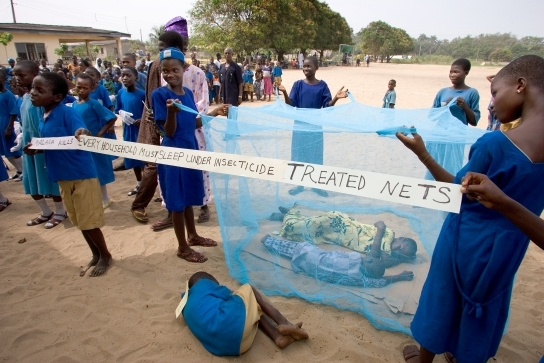 Imagine No Malaria provides insecticide treated bed nets, educates people on symptoms of the disease, the proper use of bed nets, and other preventive measures. In addition, early diagnostic kits as well as affordable and accessible medication and treatment in over 300 hospitals and clinics have made a very positive difference. And all of that can be provided for only $10. Only $10 to save a life! 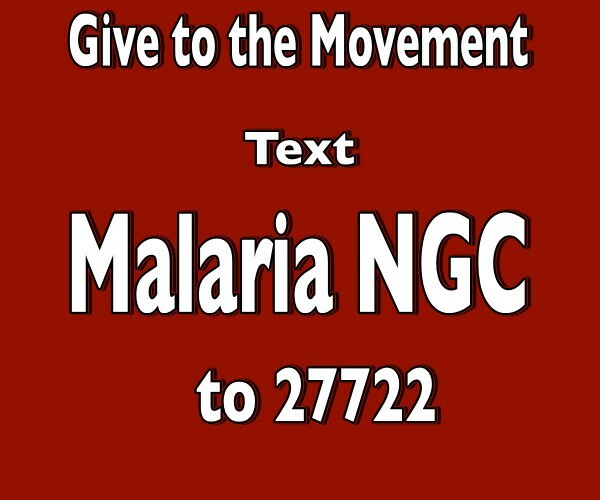 You can help save lives by texting MALARIA NGC to 27722 (be sure to leave a space before NGC) and $10 will be donated to Imagine No Malaria. Or you can send a check for any amount to Imagine No Malaria, North Georgia Conference, 4511 Jones Bridge Circle, Peachtree Corners, GA 30092. Learn more about Imagine No Malaria at http://www.imaginenomalaria.org. There are many ways for caring people to change the world. 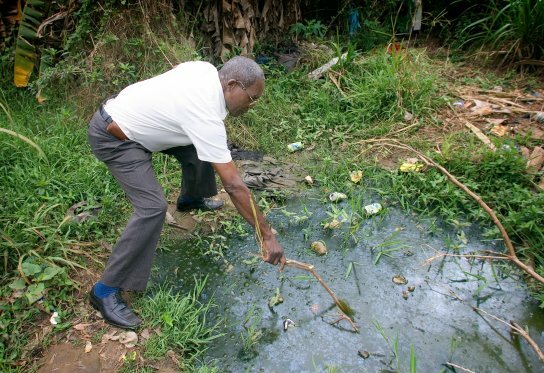 Imagine No Malaria is one effort that I have chosen to support. I invite you to join me in the fight against malaria. If this doesn’t strike a chord with you, I encourage you to find ways that you have passion for and give yourself to it. Together we can do more than imagine no malaria. And we can do more than imagine a better world. Together we can make it a reality.